This article lists some common uses of organization charts with some organization chart examples. Organization chart can be used by many organizations to ease work, including business groups and governments as well as educational institutions. Here are some common uses of organization chart. Some well-designed examples are also presented for better understanding. Business groups organization charts show reporting relationship. Have a look the following company structure. HR org charts are used to show employee details for better HR management. Edraw org chart software supports to insert hyperlink and attachment. HR personnels can easily add employees' detailed information such as birthday, hobbies and contact information. Departmental org charts display relationships between functional units, regardless of personnel shifts. 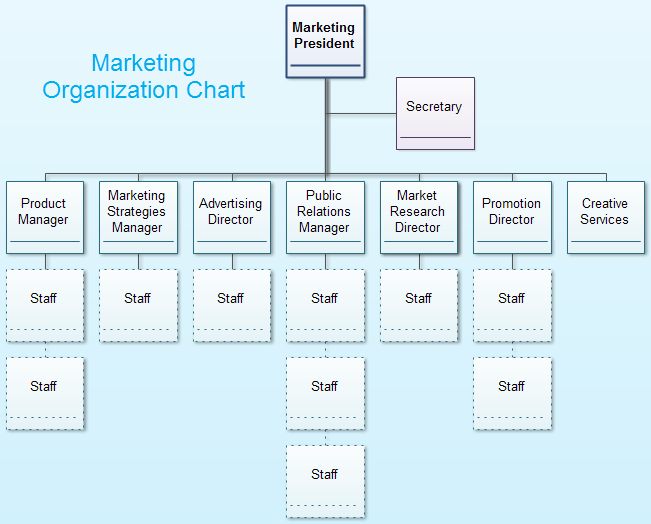 Presented below is a marketing department org chart templae. 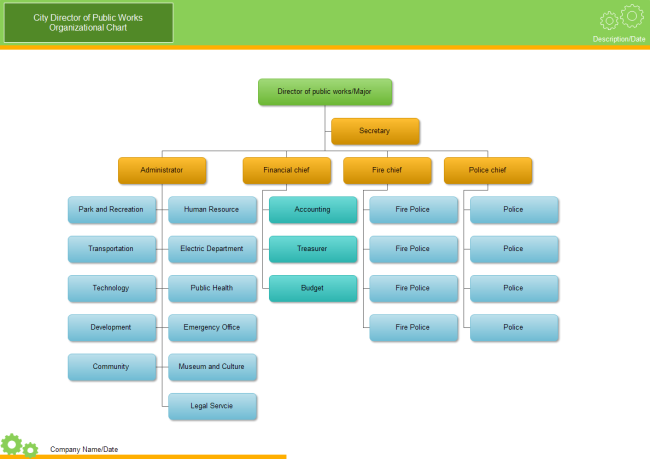 Click here to view some departmental org chart examples. 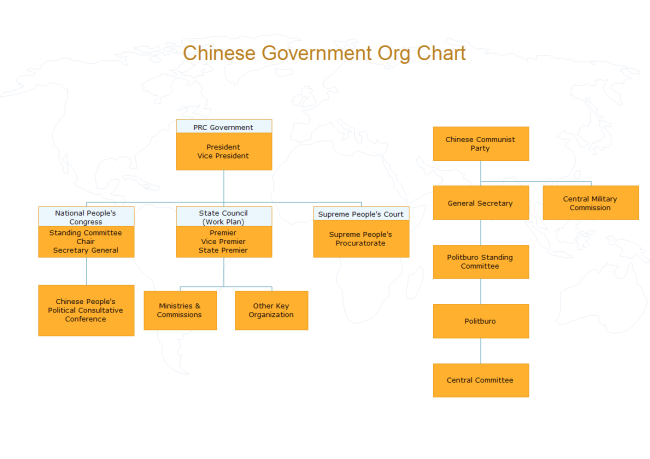 Government org chart is used to present chain of command. City organization chart is for display of the departmental reporting structure to Council and city management. 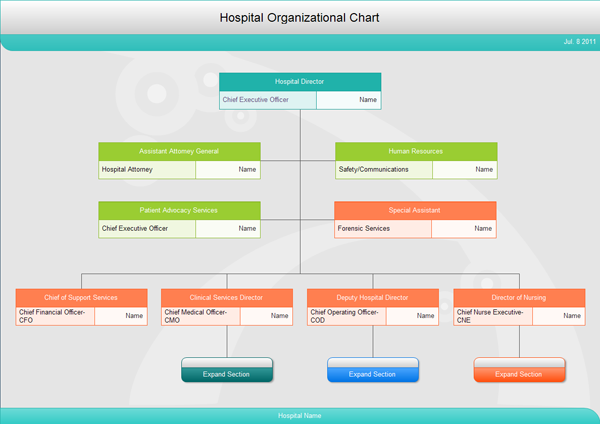 Hospital org charts are applied to show departmental responsibility. Try the easiest Org Chart tool - Edraw to build an organizational chart: Try it FREE.